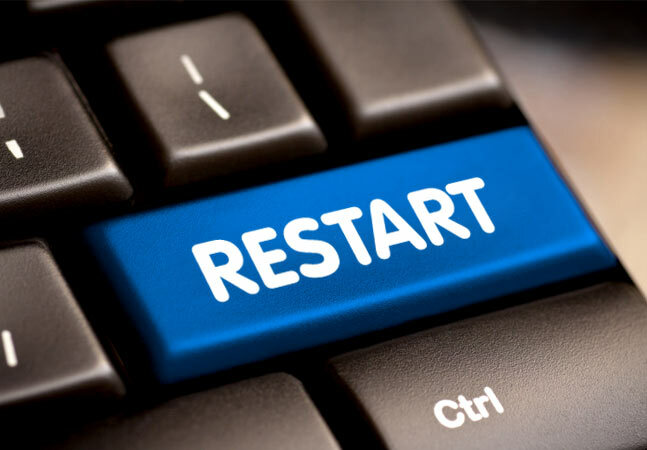 Many Windows 8 users are dealing with the randomly restart of Windows 8, this is very dangerous situation because due to this your unsaved data gets removed and it affects windows 8 very badly. Sometimes their Windows 8 system get restart themselves and sometimes systems get hang while restarting or shutting down the computer. Power supply unit of any computer system is a self-contained unit that supplies the power to the components on your computer’s motherboard. It is fitted inside the CPU box, a rectangular metal unit that has a fan to keep the entire power unit cool. But if any internal problem occurs then malfunctioning power supply can affect the component of the mother board and it may lead to repeated windows rebooting. If fan of the power supply unit is unable rotate properly or unable to exhaust the heat of unit then repair it immediately. You can also use a can of compressed air to regularly remove collected dust from your system. If you know little about the CPU then open it and remove the dust from mother board and from the other component. CPU (Central Processing Unit) is the main part of any computer system or laptop, and if it gets overheated then windows cannot perform well. It is the large chip that responsible for the executing any type of task. Don’t try to open the container of the Chip because it easily gets damage due to any small mistake. So it is necessary that call a professional to take care of it. 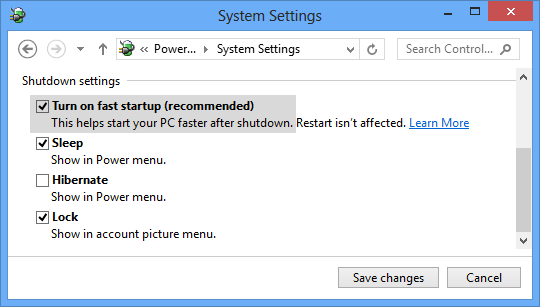 By understanding the feature of the hybrid shutdown you can fix the restarting and shutdown issues. When a system starts then it loads sections of information that makes it work properly with the operating stage. It loads the information like kernels, system initialization files, user files and driver files. Some time due to any internal problem it gets fails to load the desired files or information and so that windows cannot work properly. 1. Go to the search option and type power. 2. Click on Settings->”Change what the power buttons do“. Take the help of screen shot. Now scroll down you’ll see “Turn on fast startup (recommended)” option is present in the section of Shutdown settings given in the screen shot. 3. Now you have to disable the “Turn on fast startup” option by clicking on the checkbox, after it select the “Save Changes” button to save the process. 4. Restart your computer/laptop and your randomly restart problem should get fixed in Windows 8. If the above given method doesn’t work then apply a third party windows 8 repair software this software is specially design for the windows 8 operating system and able to fix all types of error without any trouble. It is also very simple to operate because its user interface is very basic so that one can easily fix their windows 8 problem. Try it once and make your system error free and fast. How to Fix Computer Errors Easy and Make It Run Faster?